Well, I don't know if anyone else has this problem, but apparently there's a five link limit for the signatures. Meaning, people like me who have a lot of RP characters don't have enough room to put all their links to the sheets in. So, here's what I'm thinking: people can post their links here, and have a link here from their siggy. Since I'm the one to bring the problem up, I'll go first. This is only really necessary if you have too many characters for one signature, and is to be linked from that signature instead of their actual sheets. If you only have one character, this is completely unnecessary, and you should just link it straight from your signature. Last edited by RockstarRaccoon on Wed Jan 02, 2013 3:21 pm, edited 2 times in total. Last edited by Neko on Mon Apr 16, 2012 9:48 pm, edited 8 times in total. With my tenTwelveThirteenFifteen characters, I win at Pet Friendly. Now where is my trophy? Where!? Last edited by ctcmjh on Thu Jul 22, 2010 8:21 pm, edited 4 times in total. Last edited by ChewyChewy on Thu Aug 04, 2011 1:12 am, edited 5 times in total. Last edited by Zander on Tue Oct 26, 2010 5:17 pm, edited 8 times in total. Last edited by JOFOXX on Fri Nov 19, 2010 7:28 am, edited 3 times in total. Edit: I've added image-tags because it sounded like a cool idea. Click them for the sheet! - ( Picture ) Tough and Wizened as he looks with a trickster-streak. Taku (Rikki's son) - Younger version of Rikki with nose damage. ( Picture ) Much less confident than his father. - ( Picture ) As tough as he looks. Peter-Rabbit (male, cat) - Brown, fluffy cat. ( (No pic) ) Shy and weak. Flash-Gordon (male coyote) - Crazy Coyote ( Picture ) Nutty, zany, cartoon-like... Trans-dimensional martial-arts master. 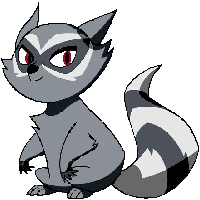 Scratch (female, raccoon) - Same character, different story. Last edited by RockstarRaccoon on Mon Dec 27, 2010 4:51 pm, edited 3 times in total. Last edited by The Game on Tue Jul 05, 2011 7:52 pm, edited 4 times in total. >Because this little piggy leopard found his mom and went home. YES! I get edit counts now. Last edited by Hypergenesis on Mon Aug 01, 2011 3:52 am, edited 3 times in total. I guess I am starting to need this as well! Last edited by Aquablast on Fri Oct 21, 2011 3:58 am, edited 2 times in total. Last edited by The Moon Howler on Mon May 11, 2015 6:17 pm, edited 7 times in total. Last edited by Seth on Tue Nov 08, 2011 1:18 am, edited 1 time in total. Last edited by RandomGeekNamedBrent on Tue Aug 14, 2012 9:08 pm, edited 10 times in total. There's a bowl of jelly in my head. I call it a brain. It produced these. Last edited by Leafolawl on Thu Jun 02, 2016 7:58 am, edited 4 times in total. Last edited by Hlaoroo on Sat Apr 05, 2014 2:21 am, edited 2 times in total. Last edited by 69eist on Sat Oct 10, 2015 1:09 am, edited 4 times in total. Last edited by Serence Frostbite on Thu Oct 30, 2014 5:12 am, edited 3 times in total. I had no idea I had this many. Last edited by Roarin on Thu Aug 07, 2014 2:56 pm, edited 2 times in total. Last edited by Civilization on Fri Aug 28, 2015 9:06 pm, edited 2 times in total. Last edited by WeirdGamer on Sat Feb 10, 2018 10:13 am, edited 4 times in total. So I've been a bit lax about doing this but i have kinda a wordy Sig so i can't insert em the other way. Last edited by Buster on Wed Feb 14, 2018 10:43 pm, edited 9 times in total. Last edited by Mickey on Mon May 22, 2017 12:21 am, edited 5 times in total. Only one for me... It's for the "Lounging around" RP. A typical old fox, except slightly brighter fur, with a cybernetic left arm, branded with a griever decal usually covered by his white button-up shirt, blue leather chaps, brown vest and duster, and wears a weathered brown Stetson hat with a dual revolver Gun-belt. Personality: When on duty, he acts all professional, no slack or joking for this ol' chum. Off the clock, however, he is a kind, caring and loveable old sod and is more than willing to give his hand to help out. When Houston was born, his parents accidentally dropped him in a river, thinking he drowned. He was saved by a human male who raised him as his son and helped him with the recruitment test for the Hunters, a group of people sworn to protect every good soul from harm. He lost his arm on a job which he doesn't like to talk about. Last edited by Gameb18oy on Sun Mar 24, 2019 11:10 pm, edited 1 time in total.